The arch window was used heavily in Roman architecture, and when it’s used in modern homes it has a timeless appeal that helps open up the space and create a unique look. Replacement arched windows will add architectural interest to your home and increase the overall curb appeal. Ached windows costs can be higher since they often come as a custom window installation with a specialty style. A normal sized arched window replacement will cost between $325 to $500 per window. Your total arch window installation price will depend on the choice of window brand, size of the arched windows, window frame styles, and local costs of window labor prices in your area but it can run up to $1100. Many arched windows on the market are fixed. These are the ones used in churches and for aesthetics more than anything else. They let in a great deal of light, but don’t help with ventilation or escape during a fire. If you add these to your home you have to mix in some windows that open as well. Fixed arched windows require little maintenance and they can be weather proofed well. Arched windows can be purchased as double hung window construction or as casement windows. Either of these options will offer you the airflow that you need, though the casement windows often offer the most unobstructed view and the largest opening to climb in and out of. Many arched windows are actually made from several different panes all aligned into an arched configuration. These are commonly made from several rectangular windows with a semicircle window up above to create the arched look. While they aren’t truly arched windows, they offer the same architectural look and are an option instead of a large arched window. When you want an arched look on your home, you have to decide whether you want to purchase a single custom arched window, or several standard windows with a single small arched window to give the whole configuration an arched look. A multi-window arch configuration is more affordable than purchasing a custom arched window. This configuration lets you use readily available windows and you’ll likely spend a lot less on the three or more windows than you would on one arched window of similar dimensions. While the multi-window setup offers a more affordable approach to that arched look, it offers less view. For a full view, consider getting a casement or fixed arched window instead. When you use the multiple-window setup to get an arched look you can create an arch just about any size that you like. 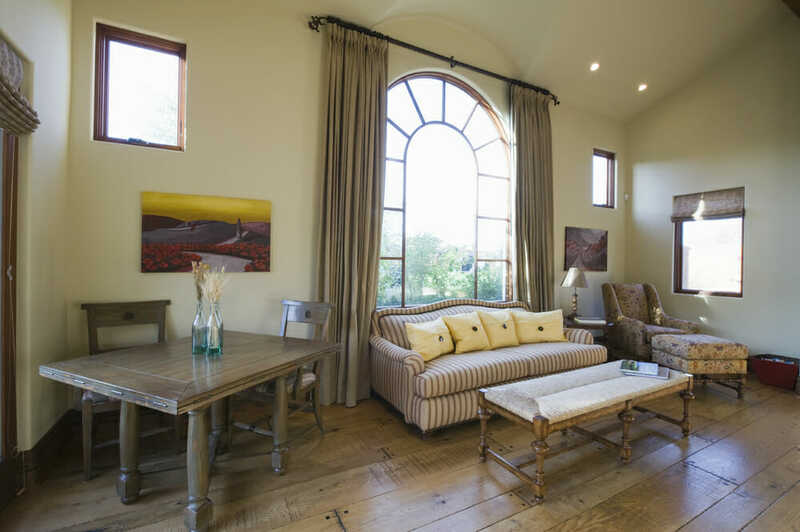 If you have very tall walls you can choose very tall rectangular windows or even two stacks of rectangular windows before topping it with the arched window. You can more easily create a specific look when you use multiple windows. Arched windows aren’t simple to install or an easy window measurement to get right, even creating the proper sized rough opening for an arch replacement window is more difficult than what’s required for a standard square or rectangular window. That’s why this type of installation is best left up to a seasoned professional, who can make sure the window is framed in properly and insulated against the elements. Whether your arched window opens or remains fixed in place, it’s important that it’s sufficiently weatherproofed and put in properly or you’ll end up with a poorly functioning window that may leak.